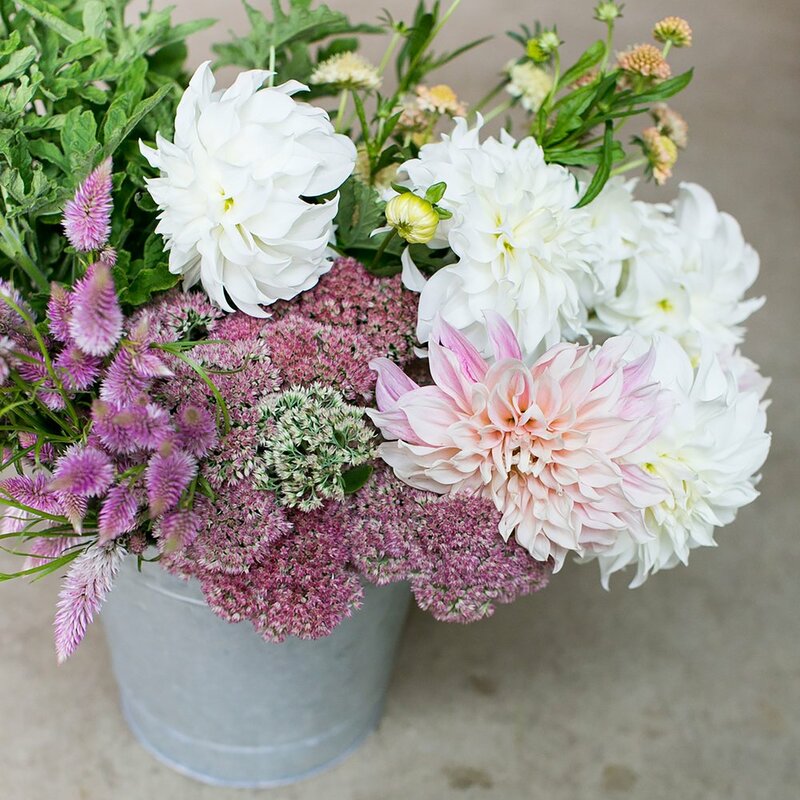 Ladyfern Flowers offers vibrant seasonal blooms through flower shares, bulk blooms, weddings and workshops at the farm, May-October. Flower shares work great as a gift or as a source to have beautiful, locally grown flowers in your home all season long. Bulk Blooms are available for those wanting to work with local blooms for a special event. If you are a florist interested in sourcing our cut flowers, please inquire about our offerings. Ladyfern Flowers invites you to join us at the farm, Two Pony Gardens, to immerse yourself in the beauty of the landscape that will inspire your creative design sensibilities. Learn about growing and designing with stunning local blooms, tour the farm and have fun! Ladyfern Flowers offers a variety of beautiful seasonal blooms, May-October. Growing over 75 different varieties of flowers, we offer limited specialty shares featuring the best in bloom. Buy flower share as a gift or treat yourself to enjoy beautiful blooms all season long! Looking for flowers for your wedding or special event? Ladyfern Flowers offers seasonal bulk blooms for those interested in getting creative with their own floral work. Our ‘Bulk Blooms’ floral buckets are full of beautiful, seasonal flowers direct from our farm fields at Two Pony Gardens.